Today we have a guest post from Valerie Plowman, the Babywise MOM! If there is anything I have learned after being a mother for 13.5 years, it is that motherhood is always changing. There really is no “normal”–at least not in the long-term. What was normal one year ago is a thing of the past today. Gretchen Rubin said “The days are long, but the years are short.” This is true of life and certainly true of parenting life. When you have a young child at home, the minutes are long, not just the years. Before you know it, life starts to fly by and even the days can seem short. A catalyst for this major shift in your days is your child starting school. 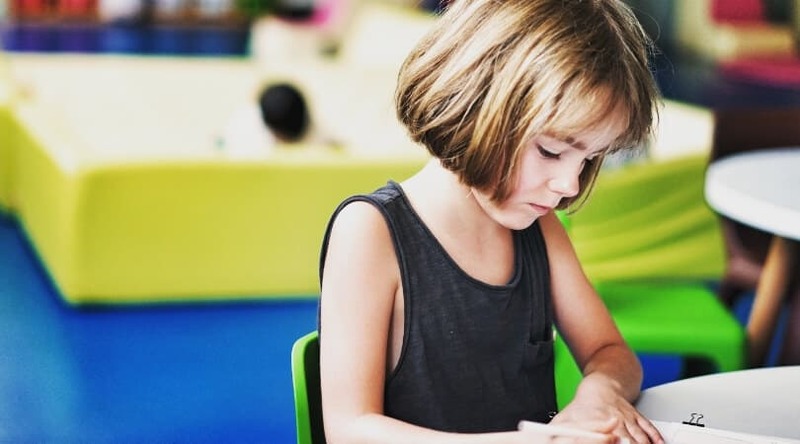 School is such an exciting time for your child and yourself. Starting school is a major milestone in life. All major milestones bring changes. 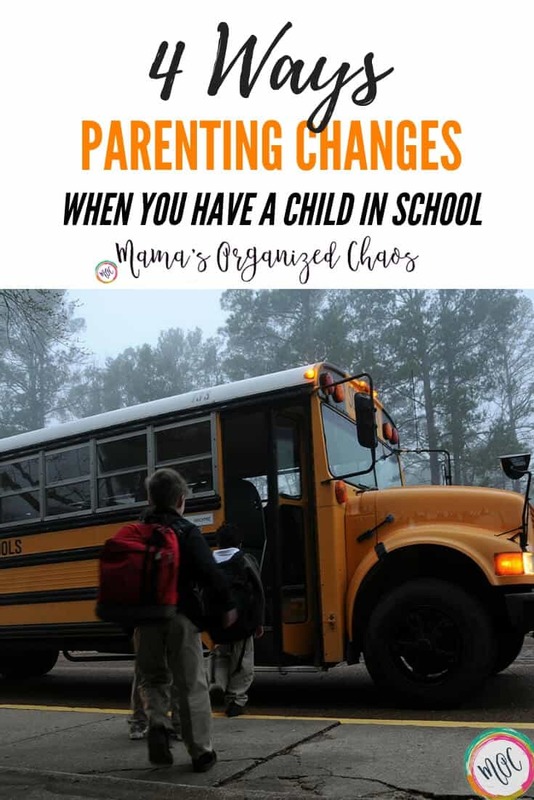 Here are four big ways parenting changes when your child starts school. Perhaps the most obvious difference in your life is that your schedule is no longer your own. You can’t make a baby sleep schedule around the needs of the family alone; you must now include school drop-off and pick-up. You unfortunately have no control over either thing. For help and tips on managing this, see my post on How To Maintain a Sleep Schedule Amid School Disruptions. When you are home with your child all day and she utters a phrase you don’t appreciate, you can typically figure out where she heard that phrase from and work to vanquish it from both your child’s vocabulary and the originator (usually mom or dad). When your child is at school, however, there are many more influences in your child’s life. Um…not really the way I like to celebrate a birthday. Innocent, childish fun? Sure. Still not what I wanted my five year old singing to people as we celebrated birthdays. This changes your life significantly because you can’t control the environment around your child. That isn’t a horrible thing. It is great for your child to slowly learn to stand true to her own standards even with those around her live by different standards. This lessened influence is not all bad. Your child will learn to take responsibility for herself. She will mature and grow up before your eyes. As you navigate the difficulties of having less influence, read my posts on How To Respond to “Everyone Else is Doing It!” and Should You Control the Environment for Your Children. I discussed this above. Time changes. The passage of time drastically is altered. Initially, the hours your little one is gone can seem sooooo long. Before long, those hours go by in a blink. Last year, my youngest was in half day Kindergarten. This year, she is in full day school. The length of time she is gone seems the exact same to me this year as it did last year. Our concept of time can be so strongly influenced by our view of time. Your perspective of time will also shift. You start to fully appreciate that, yes, these days will go by quickly. This change in time can really help you step back and enjoy the moment more easily. For more thoughts on this, read my post How To Enjoy Motherhood More Thoroughly. If you ever thought your feelings have been hurt, you will soon realize that pain is nothing compared to the pain your heart feels when your child’s feelings have been hurt. There are many great opportunities for your child to make new friends and to have fond experiences with friends at school. And of course there are many times your child’s feelings and heart will be crushed. She will be left out. She will have unkind words said toward her and about her. She will have times she is embarrassed. These are the moments you wish you possessed all wisdom. These are the moments you doubt yourself and do not trust yourself to respond well. These are the moments you do not feel ready to parent a school-aged child! Always respond with love. Do not get dramatic about things. Remember the other child is indeed also just a child. Do not say mean things about the other child. Empathize with your child’s pain. Talk about options your child has if the scenario is repeated in the future. Do not carry a grudge against the offending child; children make up and forgive quickly. Always be a listening ear so your child will be willing to come to you the next time her heart is hurt. Always remember there are two sides to every story. Remember there will also be good times when your heart will soar. There will be giggles and fun. There will be new friends made and old friendships strengthened. While life can drastically change when your child starts school, the good news is it is the beginning of many great things. You will be amazed to see how your child grows and matures. My ever-present goal as a mother is to enjoy each moment and not wish any stage away. Your days will change as your child enters school. Days will continue to change throughout your years as a mother…which just so happen to be the rest of your days of your life!